Extend the life of your books. Get them hardcover bound. The best way to reduce costs and make the most out of a budget is to invest in products that last. To that end, Learning Links offers hardcover binding for all paperback books at only $5.50 per book. Not only does it stretch initial book investments, they can also keep out-of-print books in students’ hands longer, and makes the volumes themselves more visibly appealing. We can bind both individual titles and the books in collections at your request. There is no minimum number of books, we will bind a single title or thousands! Learning Links guarantees its hardbound books with an unconditional 3 year warranty. Bound books from Learning Links will last much longer in classrooms and libraries than their unbound counterparts, getting more than 100 circulations out of each unit. 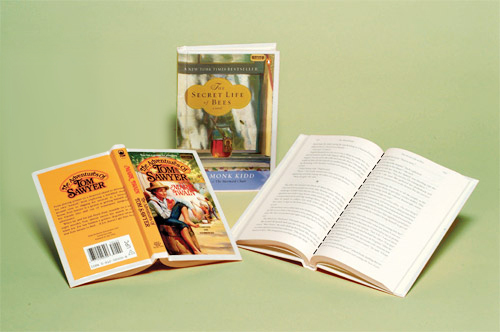 Make your books last longer, get your titles hardcover bound from Learning Links.